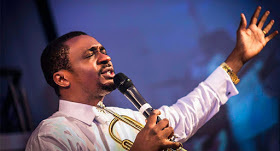 The participants prayed on a prayer point tagged "Let the wickedness of the wicked end in Nigeria", during the ongoing Hallelujah Challenge, to midnight prayer and praise hour anchored by gospel singer, Nathaniel Bassey. Over 23,000 people who joined a live video of the Hallelujah Challenge on the instagram handle of the singer: @nathanielblow, prayed God to the wickedness of those who were responsible for the massacre across Nigeria. They prayed to God not to allow the wickedness and the killings to go on but to intervene so that an end may be found to the blood shed.